This course will provide the student with the historical and cultural foundation needed to understand and appreciate Afghanistan, its people, its economy, and its politics. 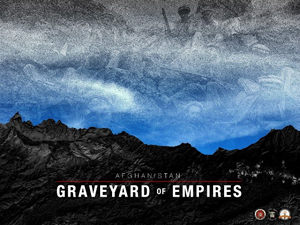 Afghanistan has been invaded periodically from the earliest instance of recorded time. The list of peoples and conquerors who have touched or influenced Afghan history reads like a roster of nearly every aggressive force that has been set loose in Asia over the past 4,000 years. Some noteworthy visitors include Alexander the Great, who reached the Oxus River in 329 BC and crossed the Hindu Kush into India in 327 BC. Islam came to Afghanistan in the 8th Century AD, Genghis Khan in 1219, and Timur (Tamerlane) and the Mongol invasion in 1398. In modern times it was the British in 1839, the Soviet Union in 1979, and the United States in 2001, all of which we will address in this course. Afghanistan once held a crossroads location with the civilizations of China, India, the Middle East, and Russia. The land trade routes through it were steadily abandoned beginning with Vasco da Gama's opening of the longer but less arduous and more secure sea route around the Cape of Good Hope in 1497. Indeed, Afghan economic regression has persisted since that event with its continued loss of international trade. This isolation has been compounded by its forbidding terrain and austere climate. Its people from a complex mosaic of staunchly independent ethnic groups that inhabit its remote valleys. It is for these reasons that it holds the dubious distinction of being the most difficult nation in the world to govern. It has historically played the pivotal role of a buffer state between the competing regional powers on its borders. Our story begins with the British in India the concern over the encroachment of Russia, as it expanded its Empire southward into Georgia (1801), Persia, (1828), Transcaucasia, and Turkistan in its version of manifest destiny. The diplomatic and military maneuvering between Britain seeking to protect India and Russia seeking to expand became known as the Great Game. In practical terms, however, Russia was quite content with its victory over Persia and saw the vast and empty deserts of Kara Kum and Kizil Kum as true obstacles in light of the logistic limitations of the time. Even so, Britain took the Russian drive for territory very seriously and sought to control Afghanistan. The British would learn that while Afghans can be defeated in open battle, and cities can be captured, alien armies cannot hold the country or rule its turbulent peoples. The Soviets failed to read history and resumed a task that was wisely abandoned in the early 19th Century. They would join the long list of would-be conquerors with their 1989 exit. The jury remains out on the fate of the U.S. experience that began in 2001 and continues. The course will examine the Afghan environment and the three modern invasions, and analyze the reasons for failure in the first two cases. In the case of the U.S. experience, we will attempt to identify the US strategy and ask how tactical actions are contributing to its desired outcome. Can it realistically be achieved in the face of an Afghan belief that in the end outsiders will go home or vanish in smoke, as they always have, and Afghans will be left with simply their faith, their land, and each other? Lesson 1, Human and Physical Terrain, covers the origin of the Afghan people, their tribal divisions, their organization, and their culture, particularly their religion. Lesson 2, British Experience (1839-1947), The Great Game, examines the British concern of Russian imperial expansion and the consequent threat to its colonial jewel of India, the establishment of the Wakhan Corridor as a territorial buffer, and the drawing of the Durand Line as part of formalizing the borders of Afghanistan. Lesson 3, Years of Reform and Democracy (1947-1973), Soviet Strategic Expansion and the Invasion of Afghanistan, examines the rule of King Mohammed Zahir Shah (1933-1973), his overthrow by Soviet proxies, and the subsequent descent into apparent political chaos, the catalyst for Soviet military action. Lesson 4, The Soviet Experience (1979-1989), examines Soviet, Mujahideen, United States, and Pakistani strategy and the contribution of tactical actions to the achievement of the strategic goals of each. It covers the rise of the Mujahideen, the entry of the CIA, and the role of the ISI and Pakistan. Lesson 5, The Vacuum on Soviet Departure and CIA operations (1989-2001), examines the power vacuum on the departure of the Soviets, the rise of elements hostile to Western interests, and CIA operations to keep abreast of developments within Afghanistan and Pakistan. Lesson 6, Rise of the Taliban (1994-1999), examines the new face of Islamic fundamentalism and why Afghanistan became the world center for international terrorism. Lesson 7, Operation Enduring Freedom (2001-present), examines the strategic goal of Enduring Freedom as well as the contribution of some of its key operations in achieving it: Al Mizan, Anaconda, Jawbreaker, Medusa, Mountain Lion, Mountain Resolve, Mountain Sweep, Mountain Thrust, etc. Lesson 8, The Unending War, examines the future of Afghanistan and the US presence there. Since 1979 Afghanis have paid an enormous price for the destruction of their country and several million dead. Where do all parties go from here? Anticipate approximately 5 hours of work per week for 9 weeks. The format for the first 8 weeks is to read, view, and listen to the assignments, take a short quiz, and then participate in a group discussion. The group discussion should be a constructive back-and-forth exchange of ideas and views, increasing understanding of the topic through a sharing of ideas and posing of questions. Except for the quiz, grading is entirely subjective. At the conclusion of week 8, the knowledge gained and familiarity with the course content will help you write a 1,200 – 1,500 word assessment paper during week 9. There is a total of 100 points. A mastery score of 80 points for the entire course is required to pass. Dr. Jack Cann is a Research Fellow at Marine Corps University, a former member of the research staff at the Institute for Defense Analysis, a former Scholar-in-Residence at the University of Virginia, and a retired professor at the Marine Corps University. His doctorate in War Studies was earned at King's College London in 1996, and subsequently he published eight books on counterinsurgency and numerous articles on small wars over the years. Before all of that he spent 30 years in the Navy and retired as a captain, having flown in two patrol squadrons and served in a variety of aviation assignments, including command. During his last two years in service, he spent time in Pakistan helping to oversee the several Afghan refugee programs.